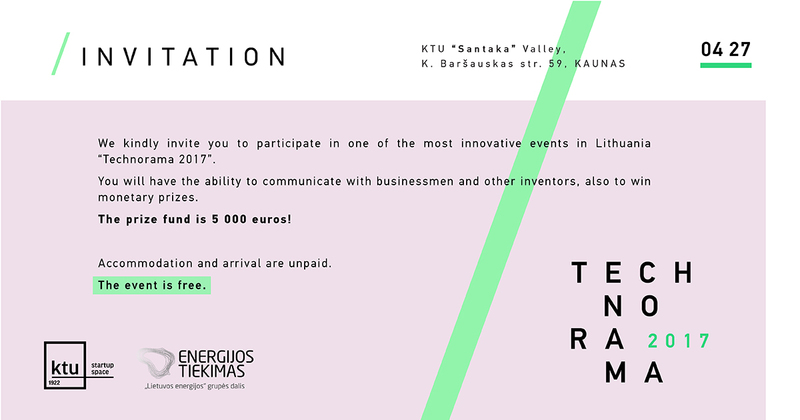 Take part in one of the most innovative events Lithuania has to offer! The exhibition of young scientists “Technorama 2017”, which is organised since 2002, takes place on 27 April 2017. The event is dedicated to discovery of new talents, promotion of public interest in technologies and attraction of more investors from the business sector, which will help scientists in development of their products.The “Technorama 2017” prize fund reaches 5000 euros!